Every year, hundreds of leaders of international schools throughout India gather for professional development and share recent research in the field of international education. It is an impressive gathering of teachers, who have an opportunity to proudly represent their school and share their exciting developments with their international colleagues. They have many reasons to be proud, as thousands of children from these schools go on to pursue prestigious university degrees all over the world, while a large percentage, have their sights set on America. This pure honest expression of concern over cultural differences expressed through this conversation was one of many concerns that are starting to be voiced. Families are expressing apprehension when their children are exposed to, and influenced by, different cultural ideas regarding relationships, religion, traditions, core values and more. What happens when the culture of your home country and the cultural experience of your international education differ or even clash? Could this potential cultural clash already begin in your home country, before you embark on an education abroad? In one of our presentations in an international school in India we were asked by one of the locally hired Indian teachers: “So how many of these kids still feel Indian? And how do they get along with their parents and their expectations? Where can we look to, for help to better understand these potential cultural differences in international education? How can we try to start to understand the feelings, emotions, and cultural challenges of the students embarking on this education journey along with the parents and families of these individuals? We can start by looking at Ruth E. Van Reken and her descriptions of CCKs. A Cross- Cultural kid (CCK) is a person who is living in-or meaningful interacting with two or more cultural environments for a significant period of time during developmental years. Educational CCKs are: Children who attend a school with a different cultural base from the one they return to at home each night. Expanded Worldview, thinking "outside of the box“. These challenges do not only impact the student themselves but their family around them. Parents, along with extended families in India can also experience challenges as their children exhibit culture norms very different from their own. This generation, attending international schools in their home country, aiming for university in a different culture, and being technologically connected worldwide, are a "growing cultural complexity"; they are being shaped in ways previous generations never knew. But as long as they remain in India, the dominant culture likely keeps them more in tune with traditional values and a sense of identity so parents may not notice these early shifts. When you made the decision of enrolling your children in an international education, you also make the decision that they will be influenced by other cultures; it is unavoidable. So how do parents build the base of values and all they want their kids to maintain anywhere? In times of growth and change we should anticipate that this is only the beginning. There are dozens more questions that beg to be answered as hundreds of thousands of children and families in India and all over the world look towards international education and international universities as the way forward for their children and their future. The benefits of this road and journey are enormous. But, it is always better to embark on the journey with a clear idea of the obstacles and challenges that may arise. International schools have the responsibility to be aware and educate their communities on the potential benefits along with the challenges. Parents of these children could benefit from being more aware of these challenges as their child’s journey begins and be better equipped to help their child and themselves navigate these challenges. So let the conversation begin. 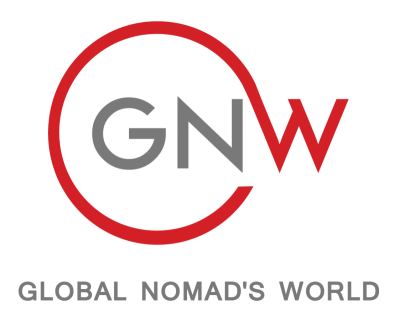 We at Global Nomad’s World (GNW) will be happy to lead you through this exploration. 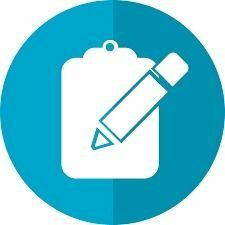 We offer workshops for families and schools (including counselors and administrators) to help support this growing population that are dealing with this significant cross-cultural questions. The students and the families will benefit from being understood and we will offer tools to help them succeed on their journey. How can your Cross-Cultural experiences be shared? Lisa Murawsky is an International Educator, teaching in India and at Endicott College in America.